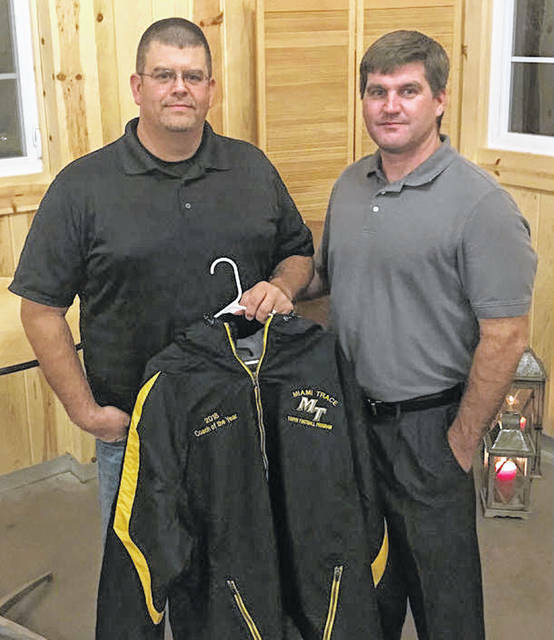 Brian White, left, head coach of the JV White team, was named Coach of the Year Saturday, Nov. 10 at the annual Miami Trace Youth Football Program coaches banquet. The banquet was catered by Matt Pettit (Streetside 62) and was held at the elegant Flora and Field facility near Deer Creek State Park. White is pictured with Rob Guthrie, president of the MTYFP.